Even though CeBIT looms large – many vendors begin media briefings in Hanover on Sunday – both ARs and analysts also agree that it is still possible to set up meetings at short notice. However, CeBIT is not the place to expose analysts to a full-on deep dives into a new or revised strategy. See the white paper (link, membership required) to learn more about what leading Forrester analyst Pascal Matzke (LinkedIn, bio, @pascalmatzke) recommends for AR professionals. 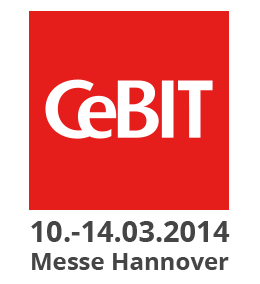 Over the years, CeBIT’s importance has ebbed and flowed. After a period in the doldrums, the show has picked up in the last couple of years and should be a staple on every AR’s agenda, if only thanks to the sheer number of analysts present. At CeBIT you’ll not only find many of your superstar analysts from the leading global firms but also you get the chance to get to know some of the more local analysts – who can have a great deal of influence in the German-speaking countries, plus excellent ties to the media. Meeting analysts from these smaller independents can also deliver valuable insights into how doing business in central Europe sometimes requires a different approach than the Anglo Saxon method. Talking of which, I’d personally rather not spend another CeBIT locked in airless on-booth meeting rooms – or on the roof of Hall 1 – supporting vendors whose approach to an analyst relations program at CeBIT was to get a conveyor belt of analysts rolling through the door. It’s exhausting and doesn’t work very well. CeBIT is so big that some analysts – or your spokespeople – will inevitably be late, and even in the best cases, you’ll be lucky to get more than 45 minutes face-to-face time at the show. There is not enough time and there’s far too much background noise in terms of other announcements to expect any self-respecting analyst to give you the full attention that such a briefing requires, during CeBIT. For me, the most effective approach to a CeBIT AR program has been to focus on the social side. I’ve enjoyed numerous dinners, lunches and afternoon coffee and cake sessions with analysts, where we’ve exchanged our views about the major highlights of the show, and perhaps some gossip, too. Following one of my golden rules for CeBIT (If you see free food or drink on offer, consume it, you never know when the next meal will come along), it’s very effective to offer analysts a chance to sit down and enjoy refreshments during what can be a grueling, non-stop schedule. The IIAR has just published a white paper on how to maximize an AR program at CeBIT – available to free download to members. It’s part of the ongoing initiative to develop an IIAR German chapter, as per this recent post by Yvonne Kaupp. All AR professionals in Germany, plus those managing analyst relations programs in Germany, are welcome to join the group – and we are planning a meet up in Munich this spring. For me, one very memorable analyst briefing session at CeBIT involved an entire afternoon of back-to-back 30-minute briefings in a vendor’s catered café area, where my spokesperson managed to eat a slice of cake in every single meeting. By the end of that, not only could I not hear his story one more time but I couldn’t touch apple cake for a month! IIAR Guide for AR professionals for CeBIT (IIAR membership required) by Yvonne Kaupp (LinkedIn, @YveKaupp) and Simon Jones (LinkedIn, @MrNesjo). Adding to Bettina’s advice, watch out for the industrial users stream and expect to gain new insights and contacts with influencers shaping the Industry 4.0 evolution. Excellent advice, especially if you are an analyst who might just be taking very crowded train to Hannover for a day trip visit to CeBIT. Food and drink are very unlikely to be refused, and no trade show is a good location for an in depth briefing. Conservations around general trends and thoughts are much more productive at any show. As our analyst Pascal Matzke mentioned in his interview for the IIAR CeBIT, Forrester will have five analysts attending CeBIT this year: Ted Schadler (mobile engagement), Stefan Ried (cloud), Holger Kisker (big data), Henning Dransfeld (enterprise mobility), and Pascal himself (tech management strategy). In case this is of interest to any of IIAR’s members traveling to Hannover, I thought I would mention here that there is still the opportunity to book a meeting with our analysts using this online tool: http://www.booknow.so/CeBIT2014. These meetings [pending availability of course] will be taking place at CeBIT Executive Club (Hall 8). If any of you were planning to attend the CeBIT Global Conferences, note that on Day 2, March 11, Ted Schadler will be presenting on the Center Stage at 14:30 hours. His session, “The Mobile Mind Shift: Engineer Your Business To Win In The Mobile Moment,” is advertised here: http://bit.ly/1g0niKh. The session will also be live-streamed here: http://bit.ly/1n1ODW8. On Thursday, Forrester Research Director and Big Data expert, Holger Kisker, will be moderating the panel “Creating Business Value From Data”. The panel takes starts at 13:30 hours on the Power Stage, also in Hall 8. Thanks a lot for your comment Belinda, very useful for AR pros onsite! Have a good CeBIT to all!